DALLAS, TX- Radio personality Michael Baisden announced the details of his "Million Dollar Business Pitch" campaign during his nationally syndicated show, "The Michael Baisden Show," on Monday, November 28, 2011. Last month, Baisden initially announced his plans to provide a half-million dollars to small businesses and non-profits via the campaign. Listeners were instructed to tune into the radio show, Twitter, or Facebook on November 28th for submission details. Since then, Baisden has been telling his listeners, "There's no such thing as luck in business; you have to be prepared when opportunity presents itself!" That opportunity was revealed in a three-step process for entrepreneurs to submit their businesses for a chance at a portion of a $500,000 small business investment, contributed solely by Baisden. Beginning January 2012, Baisden promises to begin cutting checks for businesses that can pitch their profit and non-profit companies the best. But there is a catch, he added: Those selected must be committed to "Paying it Forward." "I want to support entrepreneurs who understand the importance of giving back," states Baisden. Michael also stated that the process of submitting a business is not an easy one, nor was it meant to be. "In order to achieve success you must be diligent, organized, and, above all else, have integrity," he says. Entrepreneurs who are prepared for the challenge must go through three steps to get to the final round. Step One - Read the Terms & Conditions then fill out the application online at http://www.BaisdenLive.com, include a brief description of your business and submit a one- to three-minute video pitch of your business. Step Two - If you make it to "Step 2" you will be contacted to submit a complete a comprehensive questionnaire, submit your business plan, your business financials and tax returns. The winners will receive an investment of $10,000 to $100,000 in accordance with the rules. For more information log onto http://www.Baisdenlive.com and click the Million Dollar Pitch banner. 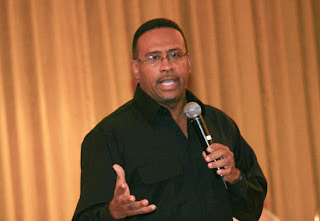 You can also connect with the Michael Baisden Show on Twitter @baisdenlive, on Facebook at Baisdenlive, or http://www.Minglecity.com. 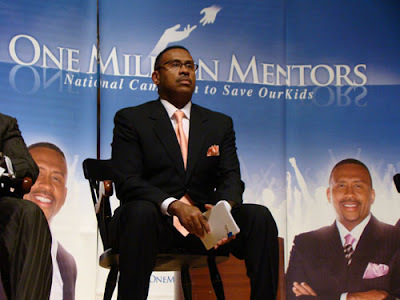 The radio personalty and author's "One Million Mentors: National Campaign To Save Our Kids," implemented via The Michael Baisden Foundation, led to Baisden being awarded the Martin Luther King Jr. Foundation "Keepers of The Dream" Award.